Entering new Nicholson Drive restaurant Bullfish Bar + Kitchen feels like being teleported into the world of Pirates of the Caribbean. Its interior is a seafaring adventure full of plank-style walls, wood furniture, treasure map paintings and plenty of fish—whether wall-mounted or painted onto small flags that hang from the ceiling. The eatery specializes in south Louisiana staples as well as Caribbean-influenced food, with items like crawfish etouffee and fried shrimp poboys sharing space on the menu with mussels in coconut Thai red curry and dark rum short ribs. So I thought I’d try a bit of both culinary influences. For my appetizer, I ordered the craw-boiled shrimp cocktail, which features authentic Louisiana jumbo shrimp poached in crawfish boil and served with cocktail sauce. The crawfish boil gave the massive shrimp a kick that sets your mouth on fire—in the best way possible, of course. The cocktail sauce was sweet and worked especially well with the savory craw-boiled shrimp. I ordered the jerk salmon salad as my main course, and it did not disappoint. 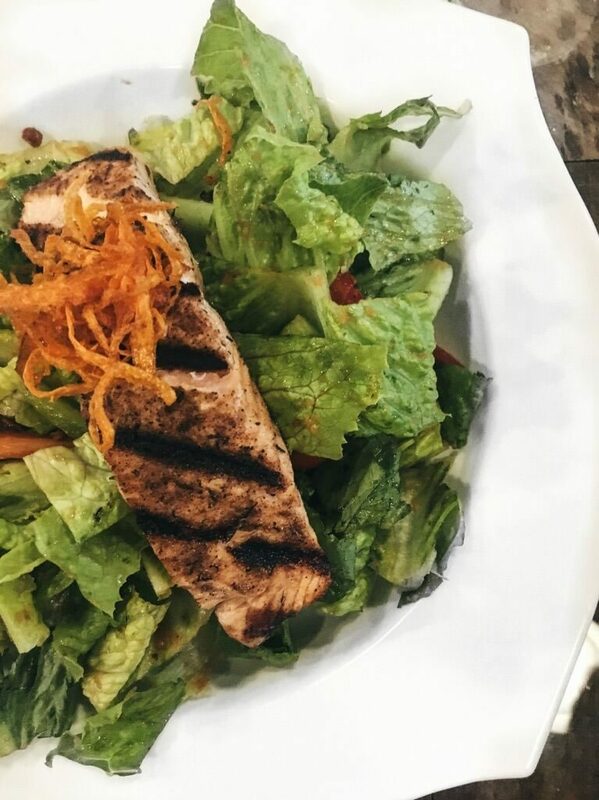 The salad was made up of Jamaican jerk salmon fillet served over chopped romaine lettuce and dressed with a roasted tomato basil vinaigrette, cherry tomatoes, yellow bell peppers and blackened pecans. While the salmon was grilled to perfection, the vinaigrette was the real winner here, adding even more flavor to an already satisfying dish. Both the appetizer and entree were expertly cooked with good portion sizes. They were light enough for a great lunch, leaving you gratified, but not stuffed, and ready to come back for more soon. 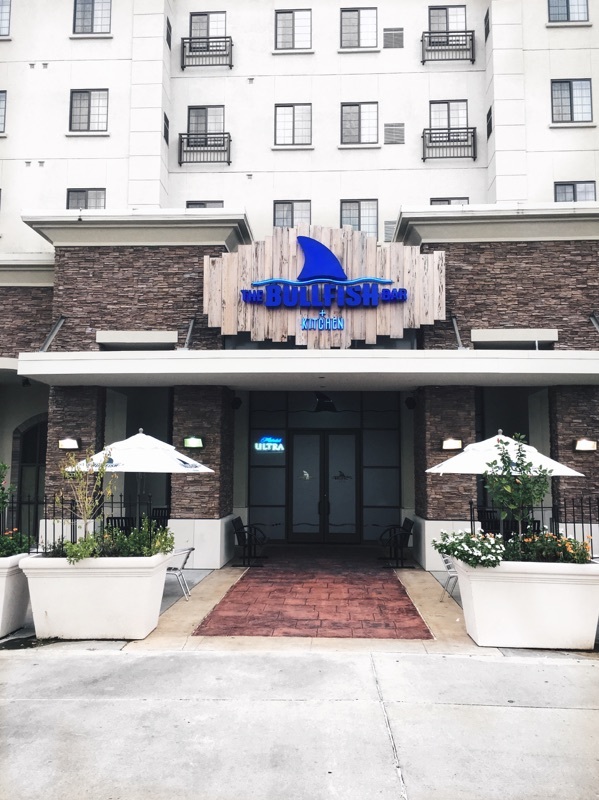 If you’re looking for a fulfilling meal with Cajun and Caribbean favorites and a nautical vibe, Bullfish Bar + Kitchen is worth a try. 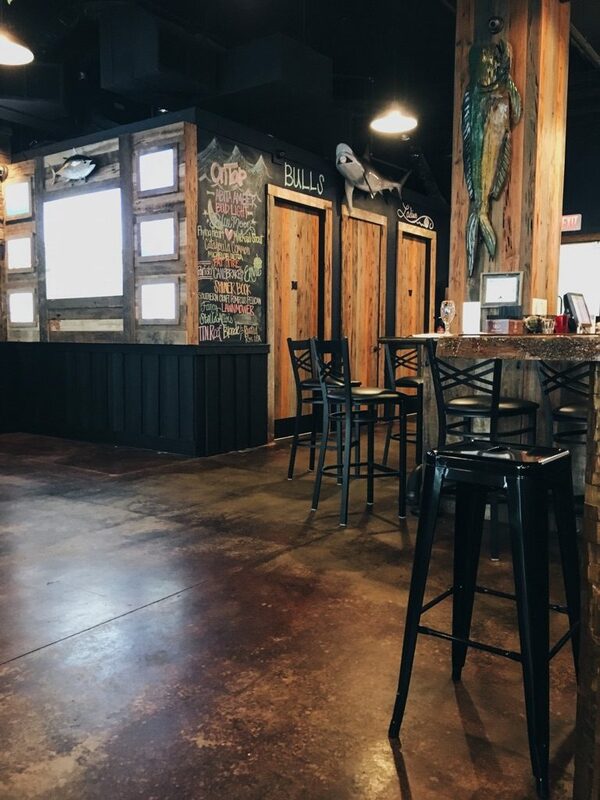 Bullfish Bar + Kitchen is at 4001 Nicholson Drive and open 4-10 p.m. Monday-Saturday. Fast Break is a 225 Dine series that celebrates lunch in Baton Rouge. Follow along as we tour different dining options for a quick bite around the city.